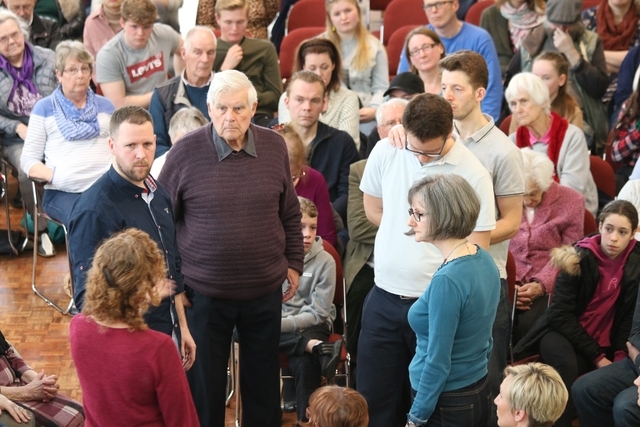 CHURCHGOERS staged a performance of the whole of Mark's gospel in just 90 minutes. 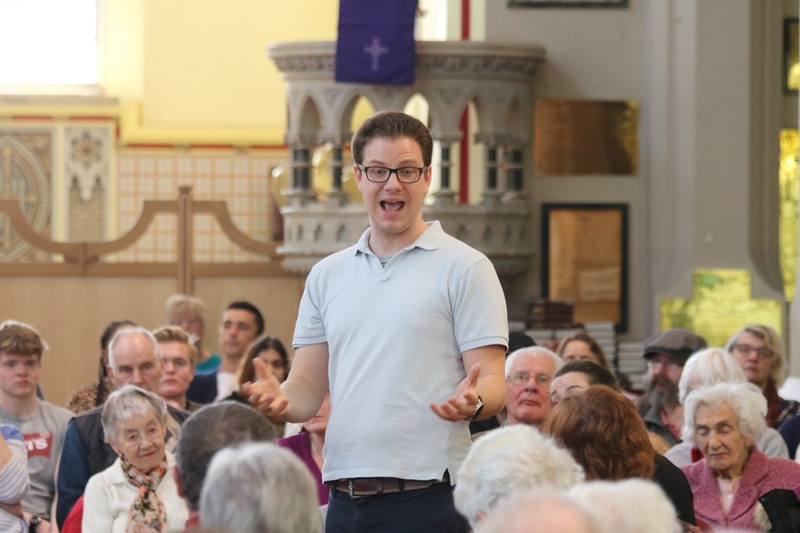 Fifteen worshippers performed the Mark Drama twice in St Jude's Church, Southsea, taking their audiences through every scene mentioned in the gospel of Mark. The audience of churchgoers and non-churchgoers saw the whole of Jesus's ministry portrayed, from his baptism through to his death and resurrection. The actors, who were mostly recruited from St Jude's, had spent several weeks getting to know the structure of the gospel. They then spent only three days in rehearsal with director Andrew Page before staging the partly-improvised performance. 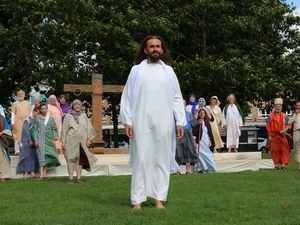 The actor playing the part of Jesus was given lines directly from the Bible to say, while those taking the part of disciples, Pharisees and the crowds were encouraged to ad lib their responses. They dressed in modern clothes and took multiple parts, performing in and around an audience sitting in the round. The Mark Drama has been performed in churches and Christian Unions across the UK and beyond. It gives Christians who are acting in the play a chance to examine the gospel and their response to it over six weeks of study. It also brings the gospel stories alive to those who watch the performances. 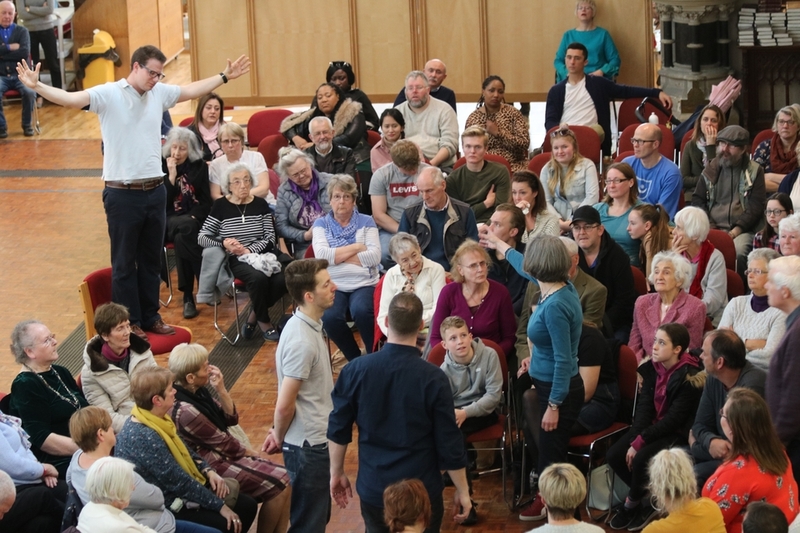 St Jude's Church, Southsea, staged the Mark Drama on a Saturday night and Sunday morning as part of its ongoing Year of Mission, which aims to reach non-churchgoers in the local community with the good news about faith. To see more photos from their performance, click here.